Launched at the UN Human Rights Council on 19 June; ARTICLE 19’s Right to Protest Principles aim to ensure protection of protest in all its forms – not least online. Protest is increasingly going digital. Whether it is using the internet to organise and report physical acts of protest, using online space as a platform on which to take action, or targeting online infrastructure itself: across the world, people are taking their right to protest online. There is a multitude of inspirational examples of online protest. Facebook page ‘My Stealthy Freedom,’ where Iranian women post photos of their uncovered hair- a criminal act in Iran- is a protest against the compulsory hijab laws. It is a brilliant example of how social media can bear testimony to the acts of civil disobedience, as well as being the only visible location of a protest seen by millions. 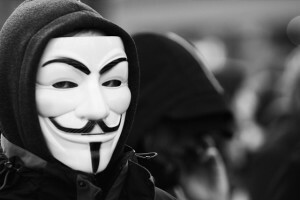 In 2010 the ‘hacktivist’ group Anonymous launched a Distributed Denial of Service (DDoS) attack on a number of online banking institutions, including PayPal, in retaliation for their freezing the assets and donations to Wikileaks. Again in 2013, Anonymous were responsible for a DDoS attack on the US Justice Department, in protest of the harsh prison sentence faced by programmer Aaron Swartz. These new forms of political expression in the digital age lack the hard-fought legal protection afforded the act of protest in the ‘real’ world. A German court acknowledged, as far back as 2001, the expressive nature of certain DDoS attacks as acts of protest, in the Lufthansa case, but laws such as the USA’s Computer Fraud and Abuse Act, under which members of Anonymous have been tried, have no such consideration. Sentences under this law are harsh, often constituting a draconian punishment for collective action. Furthermore, let us not forget that government agencies themselves, including the UK’s own GCHQ themselves have been discovered to use DDoS attacks in their own operations. Although these acts may appear to be a feature of a distinctly modern and digital protest landscape, the type of action is not new: non-violent direct action has always constituted a legitimate form of protest, back to pass-burning in Apartheid South Africa and well before. Actions like DDoS and site redirects are the equivalent of a sit-in or act of peaceful civil disobedience. Disruptive tactics do not negate the legitimacy of protest: this is as true online as offline. From stained glass to psuedo-exorcisms, origami-bombardment to balaclava-clad punk attacks, the world of protest is limitlessly creative and dynamic. There is, however, a perception that this expressive nature is only true of protests in physical spaces: this is not the case. It is a misconception which threatens to limit the range of activities protected under the right to protest. This is not merely an issue of punishment of protest, there is also a very real problem with government interference in digital communications, to prevent and hamper protest. The digital world creates opportunities and obstacles both for those promoting and those seeking to limit the right to protest: from hacking and communications-interference, to surveillance and data collection. The digital space opens up new means of enabling protests – informing, promoting, campaigning, and organising, as well as bearing witness and reporting post-event. This connective function can lead to, increase and even constitute collective action, and is more and more central to protest. New tools for those who seek to restrict protest include online censorship and technical tactics such as ‘kill-switches‘ and geo-targeted interference: protection from these must be considered a pre-requisite for the protection of the right to protest. We must push back against the takeover of the online space in the same way we would the physical – against government, military and corporate control, against restriction of spaces, public and quasi-public, and against limitations on civil rights. The digital world is expanding the horizons of protest, both off and online. However, characterised by surveillance, censorship and corporate ownership, the internet is failing to live up to the great hopes of providing a democratising force, or a fast and secure means to create and communicate data. It may yet meet its potential if its expressive capacity is not constrained by government, and if its democratic potential is explored, acknowledged, and protected. ARTICLE 19’s right-to-protest.org seeks to inform and debate the Right to Protest – and to secure this essential human right in the digital age.